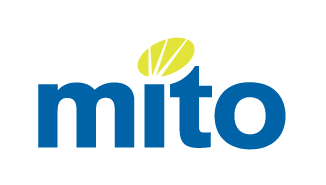 MITO facilitates training for New Zealand's transport, logistics and extractives industries. They set standards for these industries through national qualifications. They also provide leadership to ensure that their training solutions enable industries to be competitive, profitable and productive. They offer workplace training programmes and apprenticeships and liaise with industry to ensure that training programmes are tailored. MITO undertakes regular reviews using skilled experts nominated by industries. MITO promotes career pathways so learners can plan their own future. Learners can have their current skills recognised and can complete training on the job leading to a national qualification. MITO has a network of regionally based Industry Training Advisors. They regularly visit employers and learners to review training progress and to offer assistance and advice. For more information freephone MITO on 0800 88 21 21 or visit www.mito.org.nz.